Bakery Lane, situated in the Fortitude Valley will undergo a private urban renewal to become Brisbane’s newest laneway precinct. 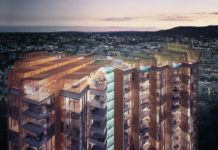 DA SUBMITTED: AMC Development’s Pty Ltd has submitted an application on the 23rd of November, 2010 to transform one of the Valley’s most derolict laneways into a vibrant, energetic space. The proposal would see new cafes, restaurants, 6 unit apartments, a small amount of office space and a fruit and vegetable market move into the lane which spans from 678 – 694 Ann Street, Fortitude Valley. AMC Developments have proposed this development in two stages – The ‘Bakery Lane’ (Stage 1) and ‘Bakery Lane Market’ (Stage 2). The development is in accordance with the Brisbane City Council’s vibrant laneways and small spaces initiative which had its funding removed after the January flood event. Pedestrian access is provided from the Ann Street frontage. The existing heritage listed buildings which address this frontage will be retained with some partial demolition works undertaken to the rear to accommodate new commercial floor space and an outdoor seating area. Private vehicular access to the laneway will be prohibited. This will create a prioritised and safe pedestrian urban environment. Small tenancies averaging 50m² are proposed at ground level along the perimeter of the laneway. These spaces are likely to accommodate shop, office, hotel or restaurant activities. Caretaker flats are proposed above these ground floor commercial spaces. A portion 678 & 680 Ann Street, Fortitude Valley will be demolished (at the rear) to accommodate a farmers’ style fruit and vegetable market. The ‘Bakery Lane Market’ does not exceed 2 storeys in height and is not readily visible from the Ann Street frontage. The existing tenancies addressing Ann Street in the heritage building’s will be reconfigured into smaller commercial tenancies and will continue to operate in a reduced yet similar fashion. BD Online will update you on the progress of this development. After discovering the poles printery building down Queenstate Lane – which is the private easement running off Elizabeth St, was in fact built in 1915, the Love Our Laneways BNE group decided to try and preserve the building via a heritage listing. 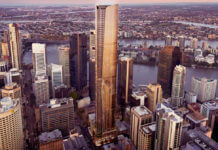 The group presented an alternative design to the developer Grocon, which provided an option to preserve the printery by using a suspended tower design at the rear (similar to Brisbane Square’s suspended design). However Grocon declined to accept any new tweaking to its design.  A few weeks into the heritage nomination, Grocon lodged a heritage immunity, which is a provision that allows the building owner to get out of any heritage nomination process and ban any new heritage nomination for five years. The heritage council approved this immunity nomination before the end of the heritage application’s public submission process ran its course. Grocon will soon demolish the 96 year old printery building and laneway for a 15 level office tower which will house the Australian Tax Office. Following this fight to save Poles Printery, the heritage submission and immunity process will now be under a review after concerns this may occur again. Nice! 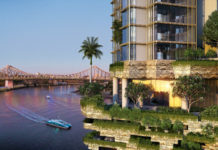 Brisbane needs more projects like this!